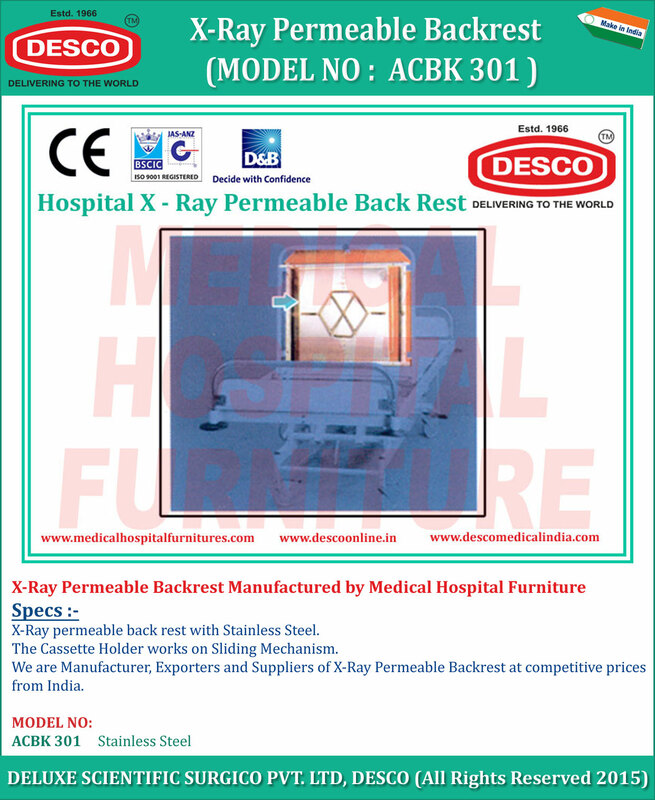 X-Ray permeable back rest with Stainless Steel. The Cassette Holder works on Sliding Mechanism. We are Manufacturer, Exporters and Suppliers of X-Ray Permeable Backrest at competitive prices from India.